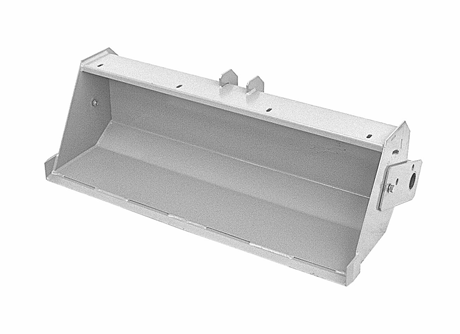 Front mounted, heavy-duty, 42-1/2” wide x 12-3/4” high x 13-1/2” deep, hydraulic dumping, hardened cutting edge, 350 lbs. rated load. Includes hydraulic cylinder, quick disconnect hoses and all fittings. Rear “counterweight” required for maximum loads.